August Wilson is a playwright. In my opinion he is the most important American playwright of the 20th century. His work the Century Cycle is the most expansive chronicle of American life in the history of American theater. His tale of America is a tale told from a view off center. It is the view from behind the veil. The center of Wilson’s America is the nation in the nation. A view from off center affords a different vantage than the vantage afforded from the center of the public sphere. DuBois speaks of the duality of Negritude in North America and those of us who are conscious behind the veil know that our twoness has followed us through the twentieth century into the new millenium. We are caught in a facade within a facade even in this dubiously titled post-race era in possession of a President with African blood and a North American African wife. Even his historic presidency is fraught with duality the highest office in the land has never been the recipient of such odious disrespect yet those the most disrespectful also claim to be the most American. It seems race is still a major issue in this “post-race” era. It seems we can’t language our race problem away. It remains onstage be it center or hovering in the wings it is a part of the story. Enter Wilson. With a sweeping mastery of language he tells us a story laced with music, history, and folk wisdom as we travel though the history of America from the point of view of housekeepers, brick layers, musicians, soul washers, cooks, and impaired prophets. Wilson dances us through a century a decade at a time sampling the music, the dialect, the issues d’jour and the unending longing for honey in the land of milk and honey. Wilson shows us poverty along side wealth, hunger in souls to rival hunger in belly, the wealth in a song of self and other essential elements of our glorious humanity. He dresses our struggle in its Sunday best and sends it out to preach the gospel of us overcoming, failing, rallying, and soaring in the midst of obstacles and snares. Race travels better here than in our strained lived reality. But make no mistake it is center stage as it has been throughout the North American African experience in North America. It begins with Aunt Ester washing weary souls who are in search of their songs. Most don’t even know they are looking. She told us how to be in a land where your song can get shook loose, she warns us everything ain’t what it seem. We better understand the importance of our song as we search for the shiny man to find him in Herald Loomis once he is reunited with his song. Herald sends us the powerful message that we will have to learn to bleed for ourselves; we have to find wholeness. Ma Rainey lets women gain a limited access to the conversation that mostly turns around the trials of men yet can any tale of men be told without women and remember Ester as mother to all. Ma Rainey allows us to consider the old and the new and how they cohabit and feed it other. The present is grown from the past. The future springs from the present. Sometimes the future fights with the past to be born. What becomes clearest is you must remember where you been to get to where you are going. It is important to remember. Wilson is big on memory. Boy Willie weights the value of memory/legacy against the value of being able to invest in the present. His struggle illuminates our struggle to progress and to be rooted in memory/legacy. What does progress cost? Is it worth your song? Can you live in the world without your song. In Wilson’s cosmology it is unlikely. Your song and your soul weight the same neither should be for sale. Progress without these elemental peices of self yield characters like Caesar who lives in a narrow space beneath the contempt white people have for him and the contempt he has for those that look like him. Levee loses his mind when he discovers his song has been stolen and all he has is an empty promise. Floyd SchoolBoy Barton wants to barter his song for some comfort in his life. He does not want to live in a cold world. When all the ways seem blocked he makes his self a way out of no way. He takes a chance. Although it works out to be his last chance we are encouraged to believe God was pleased by his effort. Floyd like Herald delivers himself. Wilson like Shakespeare is a teacher, a poet, a preacher, and a sooth sayer. He is the master magician who bends time and memory to his service and invites us to understand the significance and the meaning of the trick. In his skillful movement decade after decade he shows us how time has stood still in the Nation in the Nation only the clothes and music have changed. 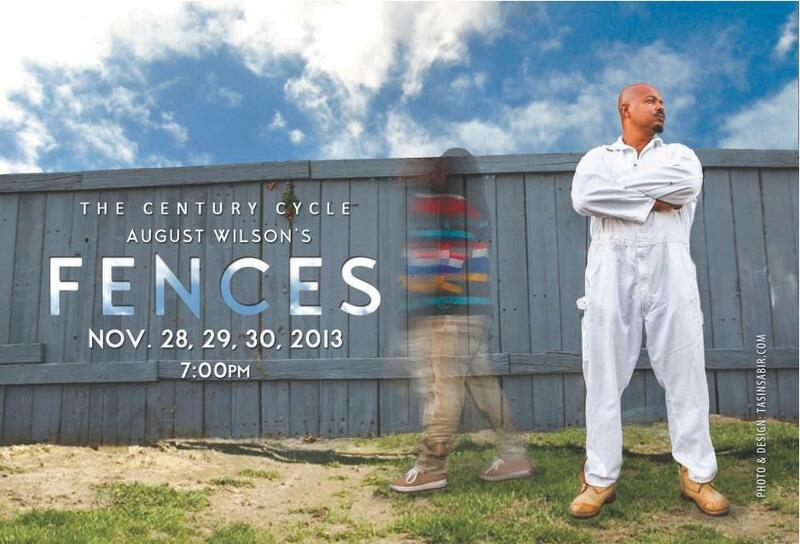 August Wilson is the American playwright who has harnessed the the twentieth century in a basket for out appreciation. He has divided it by decades so that we may ingest the elephant. It is rich and unusual fare offering a view of America not seen elsewhere on the American stage. It offers a frank view from off center showcasing the driving dream myth of America along side its grounded reality for people who hoed, planted, tended but have yet to harvest the fruit of the dream we have so religiously chased. Wilson offers us a glimpse at a whole served in units each whole unto them selves. If you have not discovered Wilson you have not yet understood what the American theater can offer or how rich and textured the unstoried life of America beyond the pale is and has ever been. This entry was posted in Black Arts, Craft, I'm Just Saying!, Life., non fiction essay, North American African Perspective, Performing Arts, Tales of Iron and Water, Theater and tagged 20th century, august wilson, ayodele wordslanger nzinga, creativity, gem of the ocean, life lessons, Ma Rainey, nation building, Négritude, North American African Perspective, personal wealth, perspective, Seven Guitars, short essay, sr. thea bowman memorial theater, the ground on which I stand, Theatre, United States, warrior art, Wilson. Bookmark the permalink. 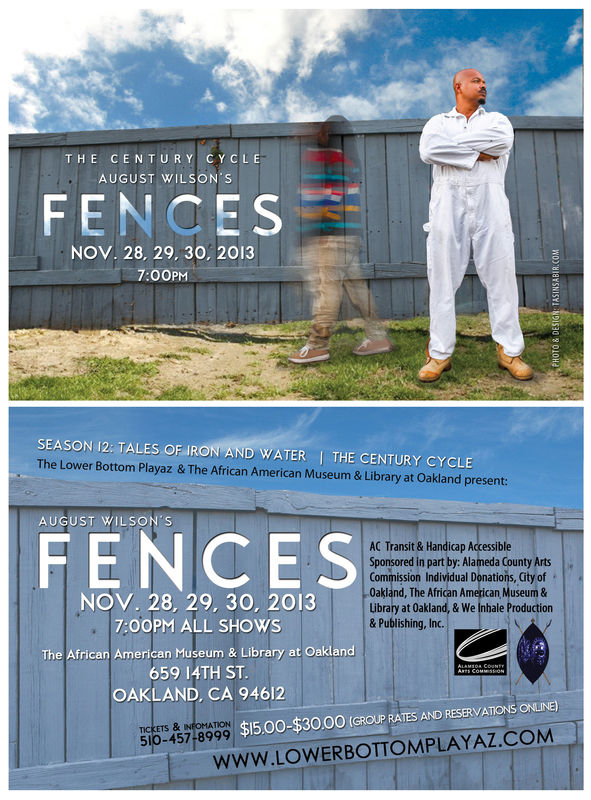 Fences opens Oakland CA November 28.